Pinterest has been steadily building itself as a deeply powerful social referral machine. While not as big as its competitors, Pinterest’s devoted users and ability to manufacture intent have made it a great way to drive valuable traffic to your site. In addition, Pinterest is unlike other social networks in that their posts have real staying power, and can drive long-term value and traffic. While all of these benefits are available via organic posts, the relatively new and vastly under-explored realm of promoted pins offers a wealth of new opportunities. For July’s #InsiderChat on Twitter, I invited Pinterest experts Vincent Ng the owner of a Pinterest marketing agency, as well as Jeff Sieh the host of the Manly Pinterest Tips podcast and Kelly Lieberman the founder of the weekly #PinChat on Twitter to lead a discussion about the untapped potential of promoted pins on Pinterest. Q1: What’s the unique benefit of using the promoted pins ad unit on Pinterest? The first thing I wanted to do is get a sense of the value inherent in promoted pins. One idea that kept on popping up over and over again was just how much bang you get for your buck. As Jeff Sieh pointed out, you only need to pay for the initial boost on your pin. After that all the natural engagement that is driven is free. Q2: How should a business choose which keywords to target w/promoted pins? Once we established that promoted pins were indeed worth the investment, I wanted to pose a strategic question: how do you choose to direct your efforts? Luckily, Pinterest has us covered in this respect. Vincent points out that Pinterest’s robust keyword search tool can be used as a great generator of ideas regarding subjects to promote around. Kelly suggests a related idea that involves looking beyond Pinterest and analyzing your site’s overall SEO terms you push for your site. Manish continues this train of thought by advising that brands try and think about what subjects to promote by imagining what their potential customers might be searching for. Q3: Any tips for optimizing your promoted pins for engagement vs. driving traffic? Once we established that promoted pins are worth the investment and highlighted some targeting methods, the next logical step was to discuss what outcomes to aim for and expect. Engagement and traffic are two very different outcomes, and the precedence one should take over the other can be highly situational. 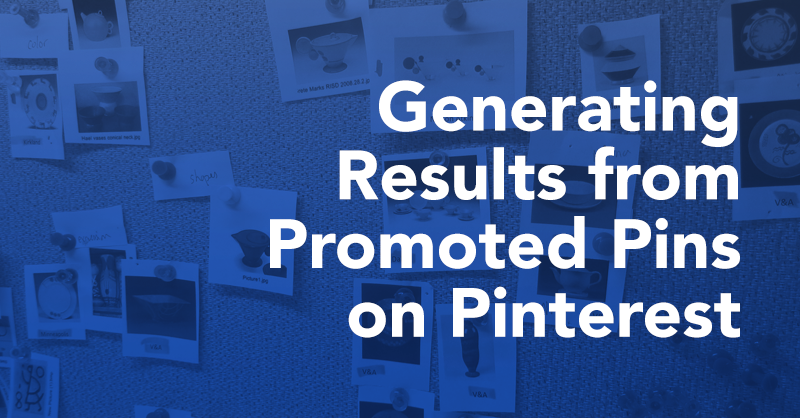 Sarah pointed out that the outcome of the promoted pins can be very different depending on the content they contain. Educational pins are a very popular type of pin and this specific genre tends to garner lower volume but higher quality traffic. However, Vincent appears to claim the opposite of Sarah. He says when it comes to promoted pins, educational content gets clicks whereas product shots grab more engagement. Jeff counters by arguing that, as far as he’s concerned, volume wins out over engagement most of the time. However, he does concede that engagement does have its time and place. Q4: Should marketers promote multiple pins at once? What’s the right balance? After going over what promoted pins are good for, we turned our attention for specific tactical advice on how to best implement them. Whenever you are investing in any paid promotion, it’s important to plan rollout and not oversaturate the field. I was curious what my participants and guests thought about how to best plan your promoted pins. Jacob Warwick points out very wisely that you shouldn’t go all in on any one type of advertisement until you’ve tested it enough to have confidence it will work. This fits right in line with my strong feeling that the best social media efforts are data-driven and that going in blind (even if the overall ad platform seems great) is a recipe for disaster. These next two answers, from Jeff and Kelly respectively, seem to be at odds with each other, but they’re not really. First Jeff points out the common-sense idea that when doing keyword planning, only make sure that one ad applies to each set of keywords. Otherwise you’ll simply cannibalize your own audience. Kelly’s advice to A/B test also seems straightforward, but how can you A/B test and not cannibalize audiences? In my mind, the resolution of this problem is that a well executed A/B test will have such minute differences that it will not undermine your efforts in the way Jeff warns about. Running two totally different ads under the same keyword is irresponsible, but running nearly identical ads with one small change will skirt the issue and will help get you closer to honing that formula that Jacob pointed out is absolutely crucial. Q5: What metrics determine success with a promoted pins campaign? The next key step for planning any kind of ad-spend is to devise a clear set of KPIs that will determine whether or not your efforts are successful. This will be crucial for maintaining a results-driven approach. Vincent makes a great point right off the bat, by reminding us that there is no one silver-bullet metric for determining success. Your KPIs will likely vary based on the nuances and goals of your particular campaign. This is very important to bear in mind not just for promoted pins, but for any advertising effort. The next two answers from Kelly and Roxana both point to the same general insight, which (unlike Vincent’s answer) is very platform-specific. Pinterest is great at generating interest and desire around your product and acting as an educational, aspirational tool. As such, the types of returns a promoted pinning campaign will return will not be direct conversions, but rather incremental progress towards purchase. Whether it’s acquiring emails, exploratory site traffic or earned repins and click-throughs: the key KPIs for a paid Pinterest campaign will likely be around generating interest instead of directly leading to revenue. Q6: Share one of your favorite pins & explain why it’d be ideal to promote! After rifling through the nitty-gritty of tactical and strategic advice I wanted to see what specific practical examples of promoted pins really struck the chat-members. The responses I received drew my attention to really great examples of effective pinning that I had never seen before. The first example shared was by Jeff for a pin he did on his own account. This pin worked because of the bold dramatic imagery and the strong call-to-action for the content he was intending to promote. The lesson here is that once you have an audience, your pins don’t need to be self-contained. A strong pull to an outside resource can be welcome if it’s the clear intention of the pin. This trifecta is so important but so often missed. Every good pin should deliver on these three elements, this is even more pertinent when you are paying to promote a pin. 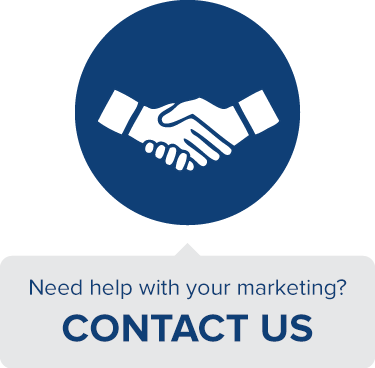 Even if one of these elements are missing you will not be maximizing your promotional budget or the potential of the platform. Q7: What other businesses really get Pinterest? This last question was off-the-cuff just because we had extra time, but it yielded some great responses. There is always a lot to learn from brands who invest time, resources and expertise into any platform and Pinterest is no different. I think a great point for further exploring the concepts discussed above is to take a look at these accounts for yourself and try and spot the tactics and strategies that these brands implement. Overall, this was one of my favorite #InsiderChat’s to date because it was actionable and fun for everyone involved since many of the participants were so passionate about Pinterest. Let me know if posts like these are something you’d like to see in the future and check out the full infographic on the chat below. I host #InsiderChat on the last Wednesday of every month at 1PM EDT to 2PM EDT to discuss how to do marketing the right way with key experts in the industry, don’t forget to join us for the next #InsiderChat on August 26th!